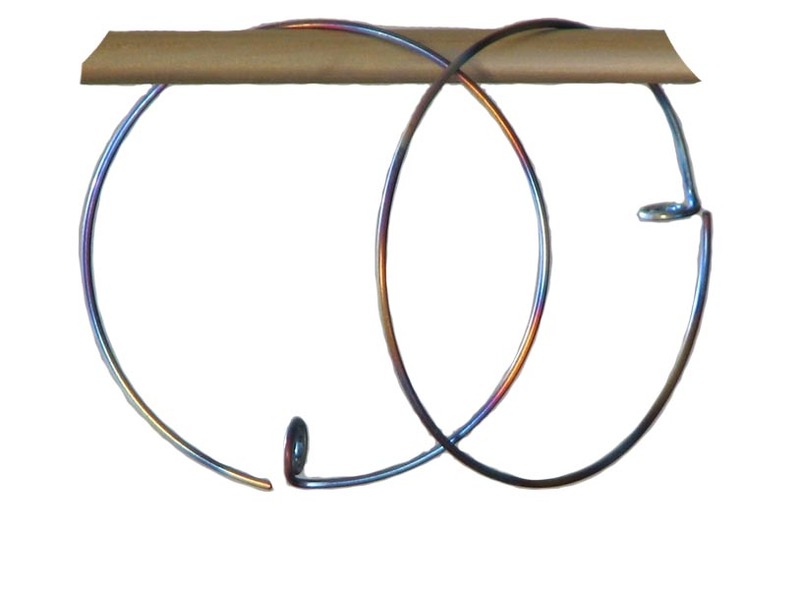 These earrings are made with Grade 1-- the purest grade -- Titanium wire which has been hand worked to form these unique titanium hoop earrings then heat treated for the rainbow coloration. Titanium is not a ductile metal such as silver or gold and Linda has performed the impossible by creating these beautiful titanium hoop earrings. These hoop earrings are feather light. Easy to put on and versatile. 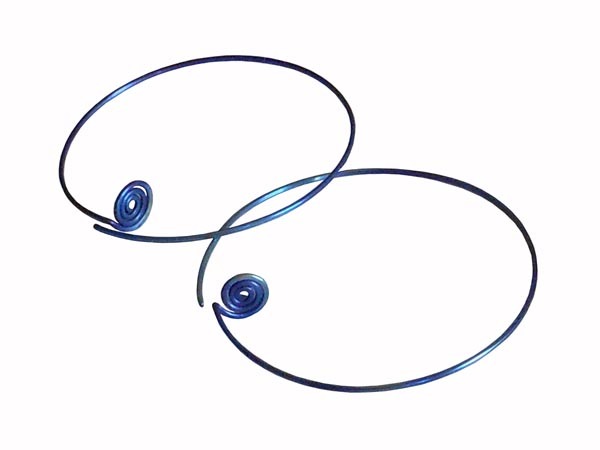 The small spiral can be worn snug to the back of your earlobe or visible in front. 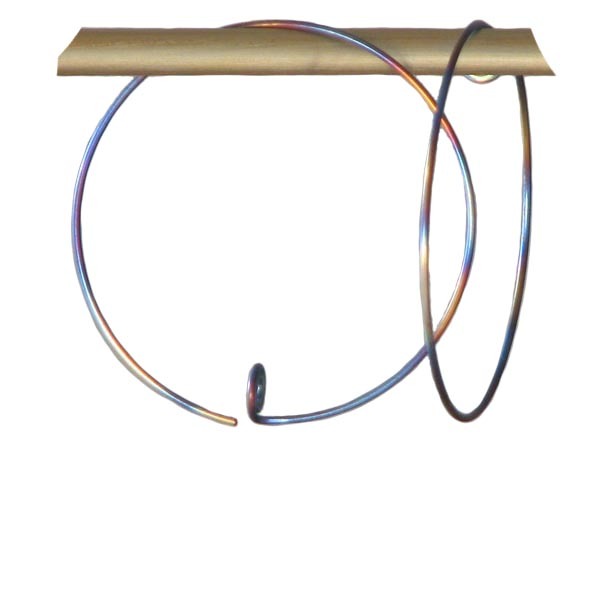 Even though these hoops have no latch closure, they stay in place, however earwire guards are included for those who want extra security against accidental loss.